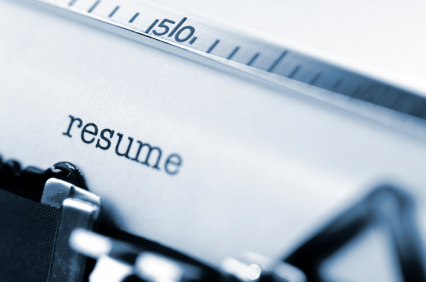 Your resume is more often than not your first introduction to a potential employer. So getting resume writing right is of vital importance in order to enhance your likelihood of getting to the interview stage and, hopefully, get a job offer. Along those lines, U.S. News has six suggestions that could really enhance the impact of your resume. First you should not spell out an objective. The employer is hiring you for a position it has. Your job is to convince the person with hiring authority that you are the best suited for that job. Second, you should begin the resume with a brief profile. This would summarize your strengths and experience and help frame the detail of your work history and education that will follow. Third, you should focus on what you accomplished at previous jobs, not just job titles. Employers are most interested in what you accomplished in the past, giving them a good idea of what you might accomplish for them in the future. Fourth one should chose brevity over detail, eschewing big blocks of text in favor of bullet points. A hiring manager is not going to spend a lot of time reading detail, but wants a cursory impression of what kind of employee you have been. Fifth, related to the fourth, keep it short. The potential employer does not like being bogged down reading a resume that looks like a novel. Finally, related to the fourth and fifth suggestions, only leave in the most important facts. You are trying to sell yourself as an employee, not write a detailed biography. Emphasize those items that the employer needs to know to be motivated to hire you. This entry was posted in Gradcast and tagged Gradcast, Gradcast.com, how to find a job, Resume Tips, write resume. Bookmark the permalink.